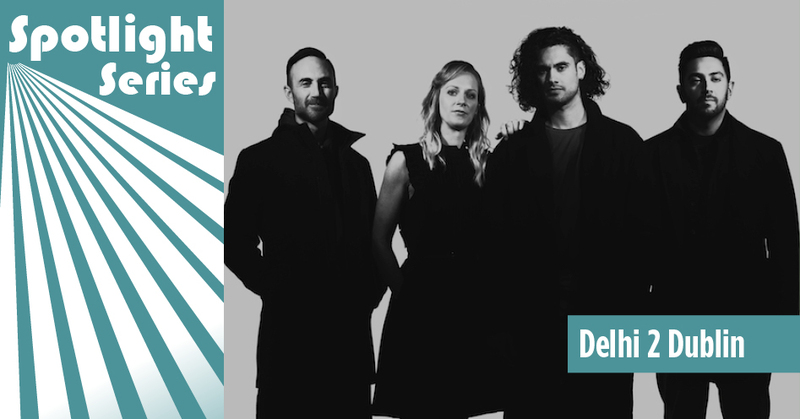 Tomorrow night, Levitt AMP Sheboygan concertgoers are in for a high-octane musical journey with Delhi 2 Dublin’s bass-heavy blend of bhangra, electronic, funk, hip-hop, Celtic music and more! In anticipation of tomorrow’s show, we’re bringing you five fun facts about this four-piece global sensation that has wowed international audiences, including those at Levitt Pavilion Dayton (2018), Levitt Shell Memphis (2017) and Levitt Pavilion Los Angeles (2012). 1) The band’s name and birthplace are one and the same: The group’s founding members were asked to combine their cross-cultural musical talents for a one-time musical collaboration, dubbed “Delhi 2 Dublin,” at the 2006 Vancouver Celtic Festival. What they all expected to be a one-time “fun little collaboration” was met with an overwhelmingly positive response and requests for additional performances. Delhi 2 Dublin seemed to be a fitting name to keep moving forward. 2) One year after forming, Delhi 2 Dublin opened 2007 Canada Day celebrations: With mounting popularity, Delhi 2 Dublin was invited to kick off Canada Day celebrations on Parliament Hill, performing for a cheering crowd of more than 150,000 people (and all those watching the live broadcast of the event at home). And at this point, the group had only written three songs together! 3) Delhi 2 Dublin is not a “fusion” or “global” band: Bringing audiences a kaleidoscope of sound, color and movement from disparate parts of the world, it’s tempting to label Delhi 2 Dublin as a “fusion” or “global” group, however, the band makes a point of reminding listeners that in today’s multicultural environment, “everything is fusion” and that such terms will likely become obsolete at some point. “We never think intentionally about “combining” sounds – we just play the instruments that we grew up playing, just as any band does. It just so happens that we grew up playing tabla, dhol and fiddle, and not bass, guitar and drums,” explains the band’s tabla-player and electronic producer, Tarun Nayar. 4) They invited local Dharavi youth to take center stage in their “We’re All Desi” music video:” Delhi 2 Dublin saw their 2016 music video for “We’re All Desi” as an opportunity to expand the narrative about residents in India’s slums. Delhi 2 Dublin singer Sanjay Seran explains that, “It is just much more romantic to think of [a slum] as a place of extreme poverty rather than the culturally rich place that it is.” Featuring local youth, the video aimed to shed light on communities the band felt were often “Hollywoodized” and portrayed without the heart, depth and hopefulness that exists in many slums—like those in the Dharavi slum in Mumbai, the largest slum in Asia, and home to the young actors in the music video. 5) In 2016, the group took home the Western Canadian Music Awards Show (WCMA) for “Best Electronic Act:” All too often labeled a ‘world’ music band, Delhi 2 Dublin was thrilled with this musical milestone—an accolade that looked beyond the band’s bilingual lyrics and global instrumentation to celebrate the broad appeal of its lively music. If you’re in Sheboygan this week, be sure to head to City Green tomorrow night for the final show of the 2018 Levitt AMP Sheboygan Music Series with global stars, Dublin 2 Dublin!